How to identify your iOS Mobile Strategy. 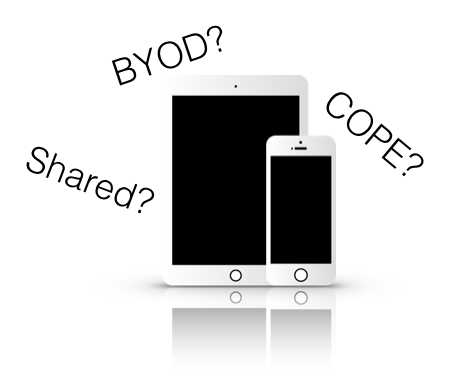 There are a lot of tools out there that can help you deploy and manage iOS devices in your environment. This can make trying to understand which ones to use and why/when to use them confusing. When making this decision, it is essential to keep in mind your overall goals for your strategy. The purpose of this article is to help you figure out how to identify your iOS Mobile Strategy by isolating the deployment models that you have. There are a number of reasons to supervise your iPads and other iOS Devices. Here are 5 that you need to know. Supervision is a mode that an iOS device (iPhone, iPad or iPod) can be put into using two methods. The first is Apple Configurator and the other is Apple's Device Enrollment Program. Supervision mode is meant to give you more control over Corporately/Institutionally Owned devices, never your employees' personal devices. Below, we have included the top five reasons to Supervise your iPads that are owned by your organizations. How to manage multiple iOS devices with one Apple ID. This is something that I heard all too much at my last job. 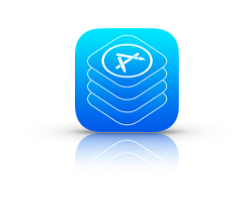 There is an overwhelming gap in knowledge of how Apple ID works and the role that it plays in deploying Apple devices. Customers would pull their hair out trying to find out how to manage multiple iOS devices with one Apple ID. Chances are, you are starting to realize this as you attempt to log into 5, 10, 15, 100 devices with the same Apple ID, and slowly start to contemplate jumping out of your office window. Apple Configurator and DEP accomplish a few of the same things. However it is the way in which they accomplish them, and the circumstances of your deployment which will determine if you will use one or the other. Or even both. I want us to try to get away from the notion of Apple Configurator vs DEP. Let's start with Apple Configurator (The older brother of DEP). 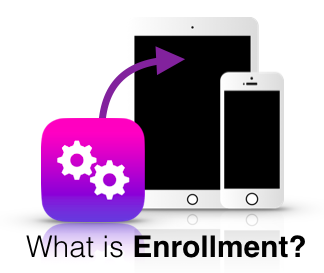 Enroll iOS devices into a 3rd party MDM Software. Here is the caviat. Since Apple Configurator is a Mac App Store App (free by the way), all modifications to devices, such as changing profiles, installing apps, enrolling in MDMs, wiping, etc.. Devices must be plugged into the Mac running Configurator via Lightning/30 Pin cable. This is not the worst thing ever considering the fact that Apple Configurator can push this information (by wire of course) to 30 devices at a time. So if you have yourself a USB hub, or a Bretford PowerSync cart, you should be able to breeze through this.